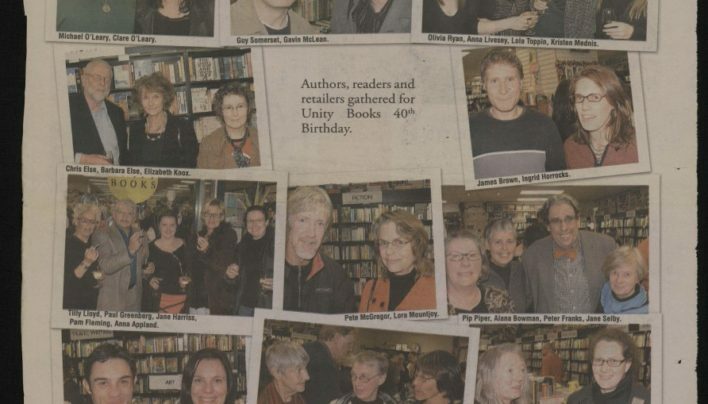 Arranging staff-authors to read at the Unity Books 40th birthday celebrations. 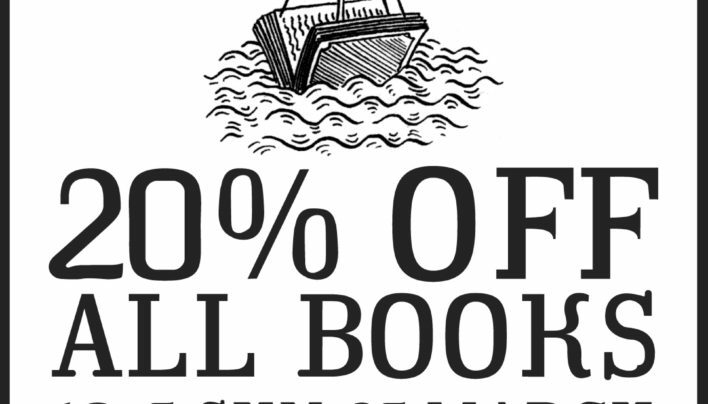 An invitation to the public to join the celebrations for Unity Books’ 40th Birthday. 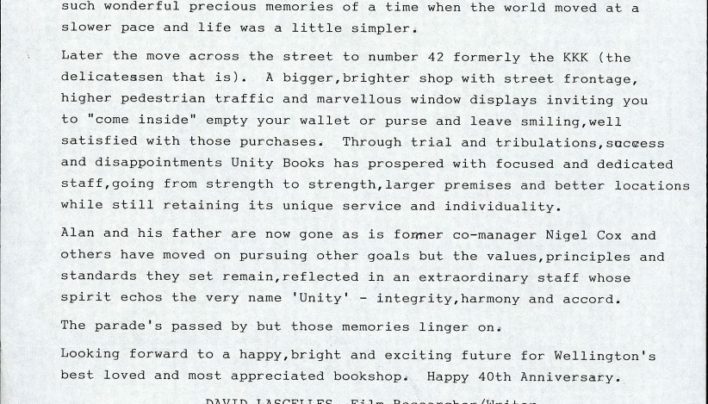 Long-time customer David Lascelles reminisces about Unity Books through its 40 year history in this letter of congratulation. 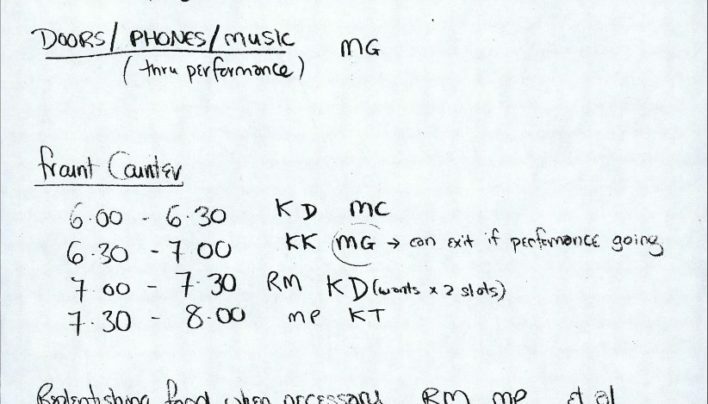 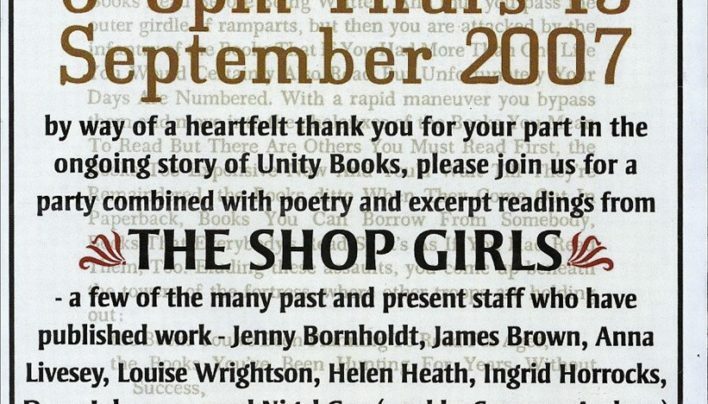 The invitation to our 40th Birthday party – which featured readings from “the Shop Girls” (ex-and-present staff). 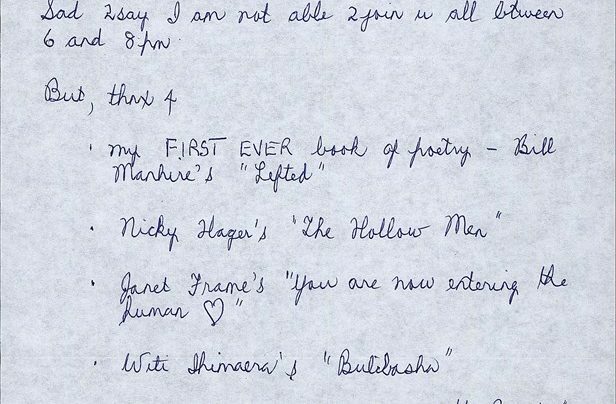 In preparation for Unity’s 40th Birthday, Marion Castree wanted to be sure we had in stock all the editions of Sport in which Unity staff had work published. 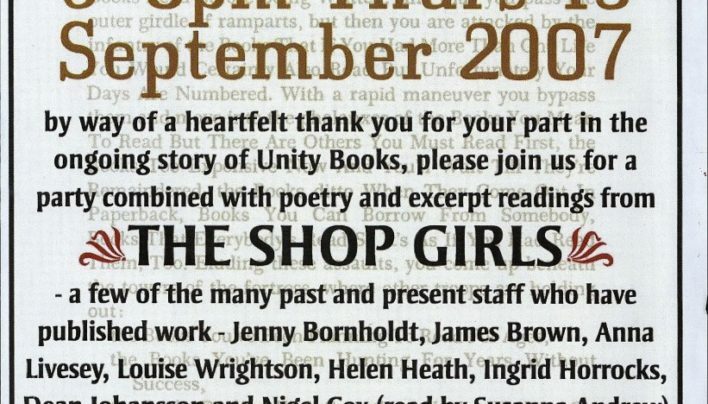 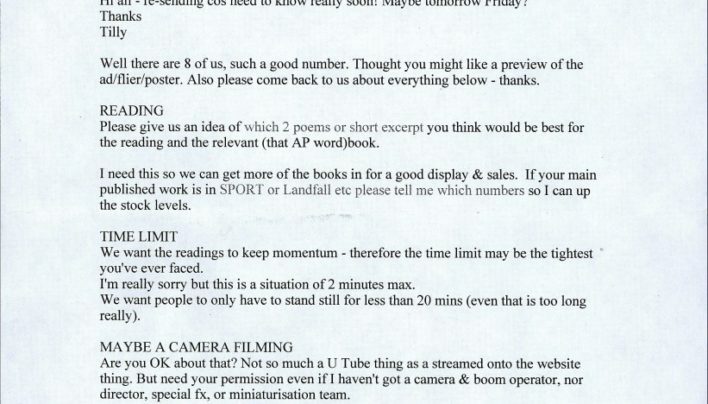 An advertisement for a sale in 2007, the year Unity Books Wellington turned 40.